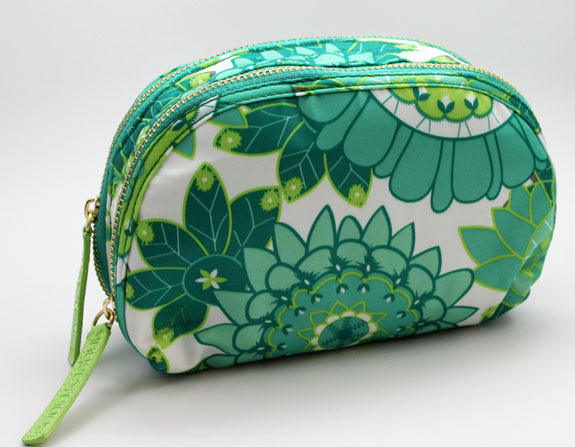 Sonia Kashuk has some really cute cosmetic bags in lots of sizes and styles this spring at Target. They come in four pattern choices: Dots, Tribal, Yarn and Floral. 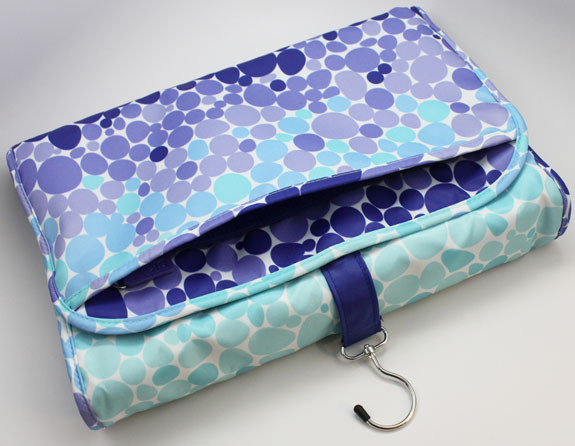 Super affordable and super cute! 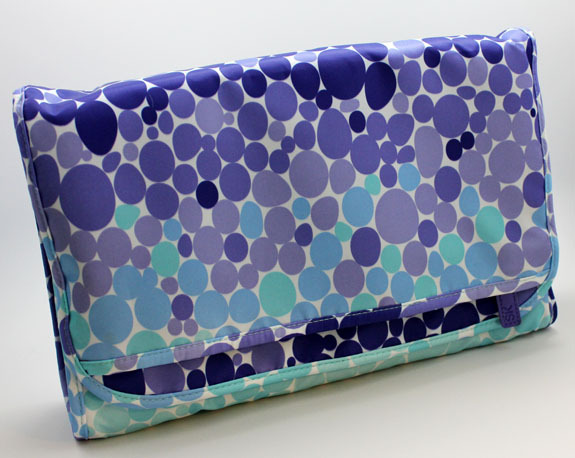 This is the Double Zip Clutch in Floral ($14.99). 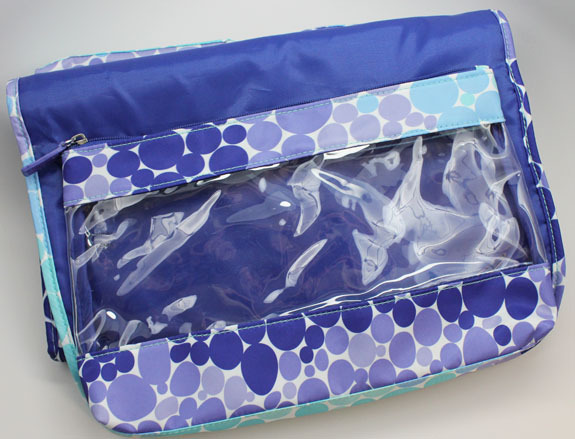 It’s a nylon bag and has two zipped up areas for stashing goodies. It’s a great size for putting makeup in for a quick weekend getaway. Not too large, not too small. This is the Valet in Dots ($29.99). Super cute dots design and I love the colors! The valet is quite the multi-tasker. 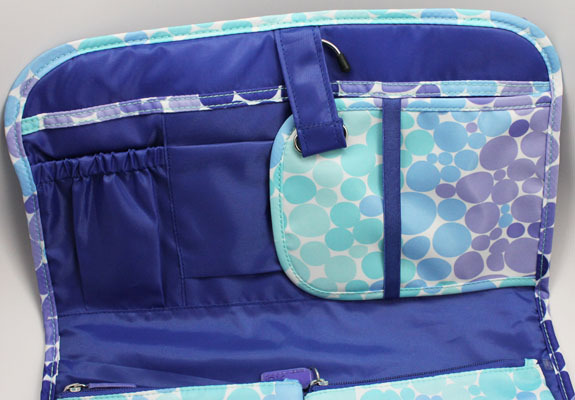 It’s a large bag that folds out (it’s tri-folded in the above photo) to reveal all sorts of little spaces within. 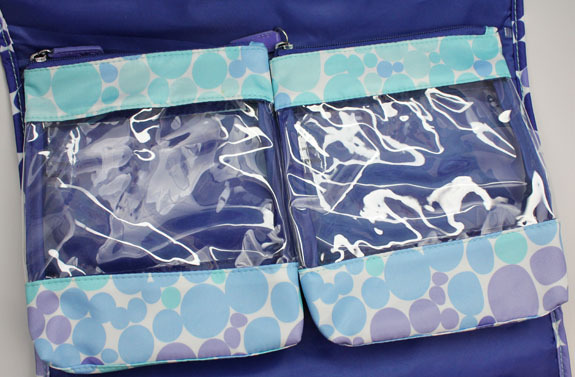 In the front area (photo above) there is a zip pocket. It has a hangar as well, which is a really great bonus for traveling. 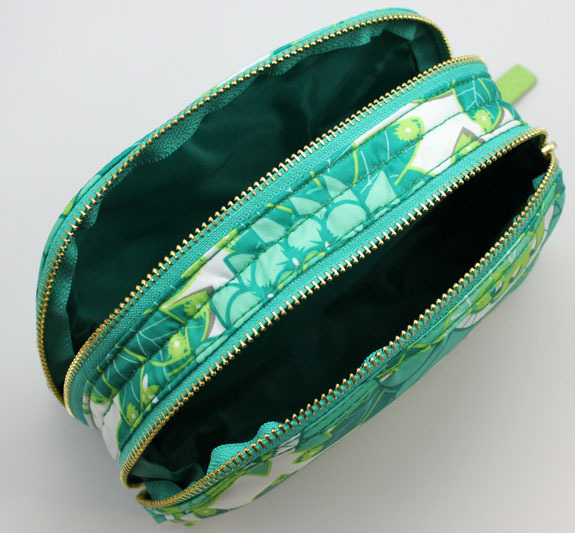 In the first folded area you find a couple areas to stash stuff with elastic around the open areas to keep things snug. 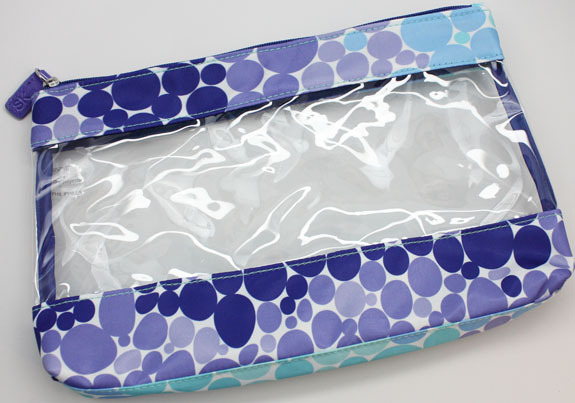 In the middle section you will find two nicely sized makeup bags with zippers and a clear mid-section. These are stuck to the bag with velcro, so you can easily remove them as well! Handy. 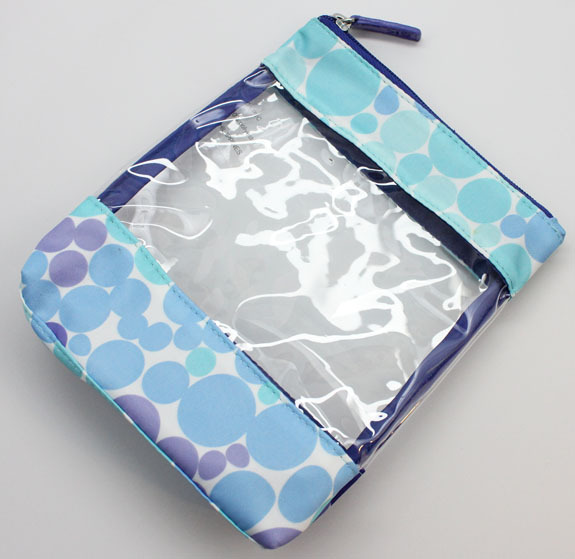 Finally in the last section you will find another makeup bag, but much larger, also with a zipped up top. This too is removable. I really love this valet because it would fit a lot of products inside, it hangs up and if you don’t need or want to use everything, you can just take out the bag(s) you want to take with you and use them instead!